On November 1st, the LEAH Project hosted a STEM College Night at Tufts Medical School. LEAH staff recruited college and graduate student volunteers who talked with our LEAH Knox Scholars about their educational experiences. In small discussion groups, the Mentors had an opportunity to ask questions that related to high school, college, and professional life related to STEM fields. 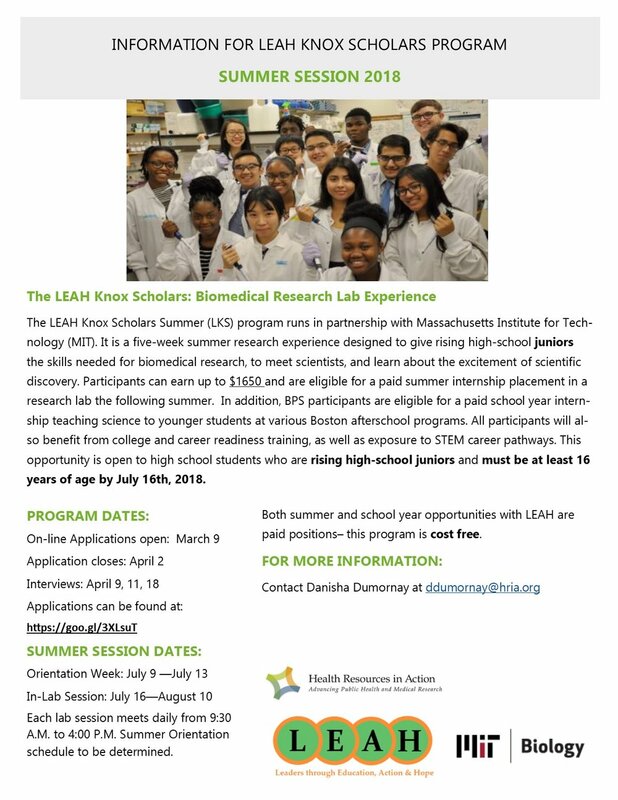 The first event of the school year for our LEAH Knox Scholars was a visit to Novartis community laboratory. 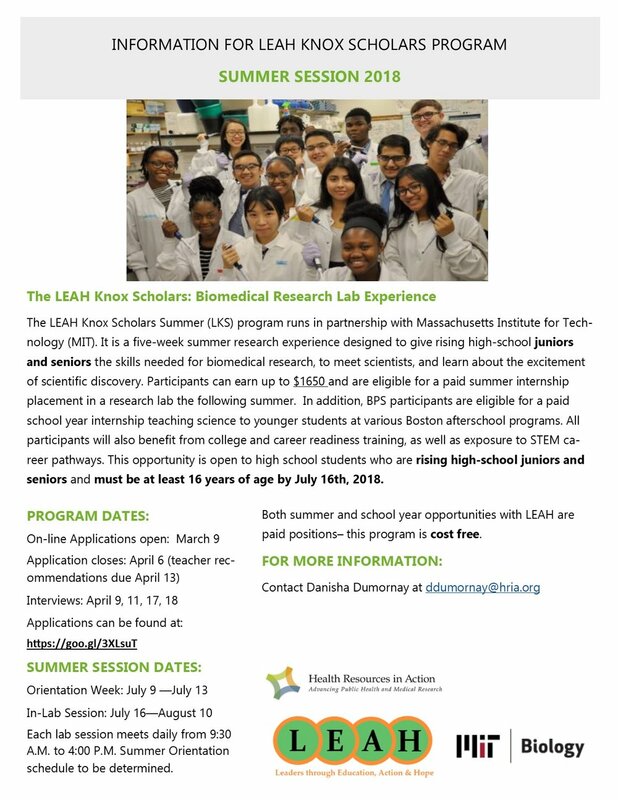 With Novartis being a pharmaceutical company, the scholars were able to actively engage in the lab and run several tests reinforcing the skills they attained during their internship at MIT that summer. After a summer of working in their lab placements, the LEAH Knox Scholars had an opportunity to discuss their findings and experiences at the summer symposium. Each second year scholar had an opportunity to present on the projects they worked on during the summer. Congratulations to all of our scholars!